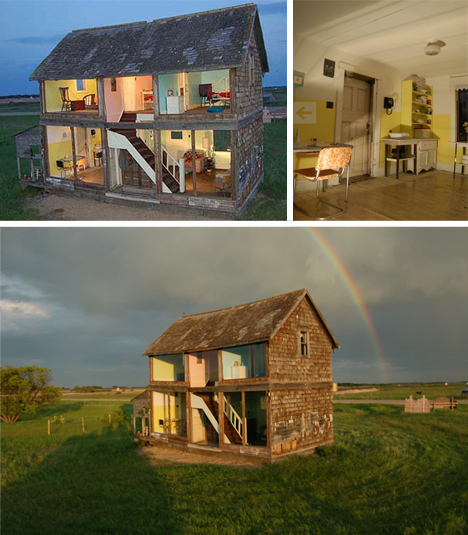 In what may be the world’s strangest residential renovation, an artist-in-residence took this long-deserted and severely-dilapidated house, and restored it into what may be the world’s largest handmade dollhouse. 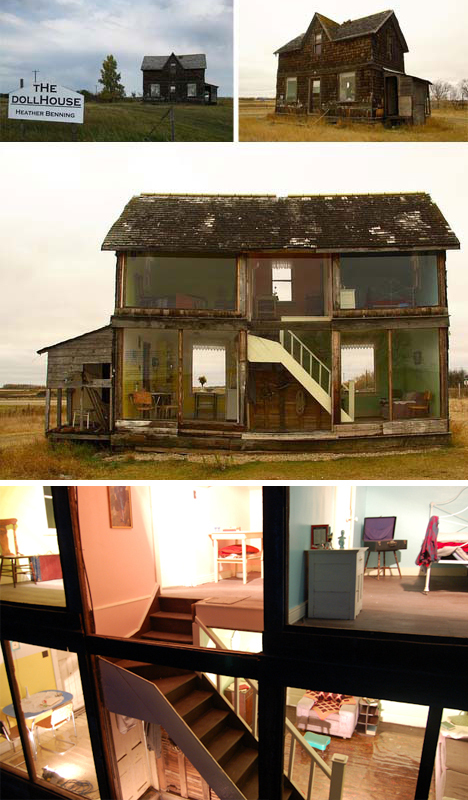 Canadian artist Heather Benning found this home while staying in Redvers, Saskatchewan, with hints of color that only a creative mind could see as inspiration for a full-scale remodel into a brightly-colored playhouse. 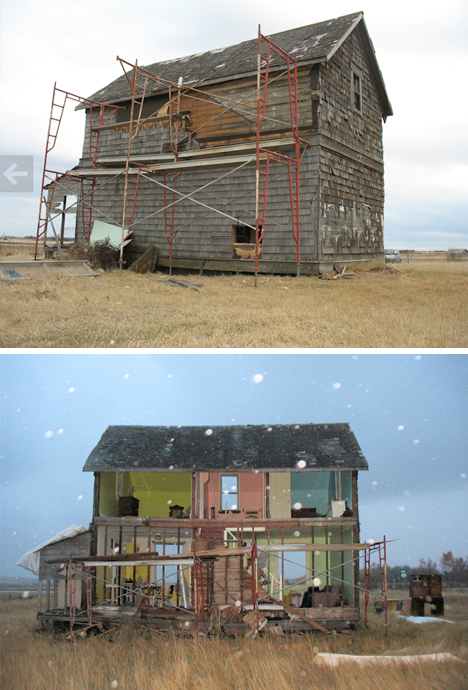 But lest you think she got off easy, simply installing some old furniture and painting the place: the roof needed to be re-shingled, rooms needed to be re-plastered and sections of the structure required shoring up even though the purpose was display and not occupation. 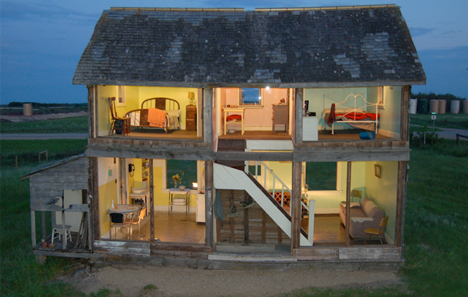 One whole side, of course, also had to be removed to complete the effect, so that (like a scale dollhouse) people can see all aspects of the inside from the outside. The result somehow manages to be both charming and slightly creepy at the same time. 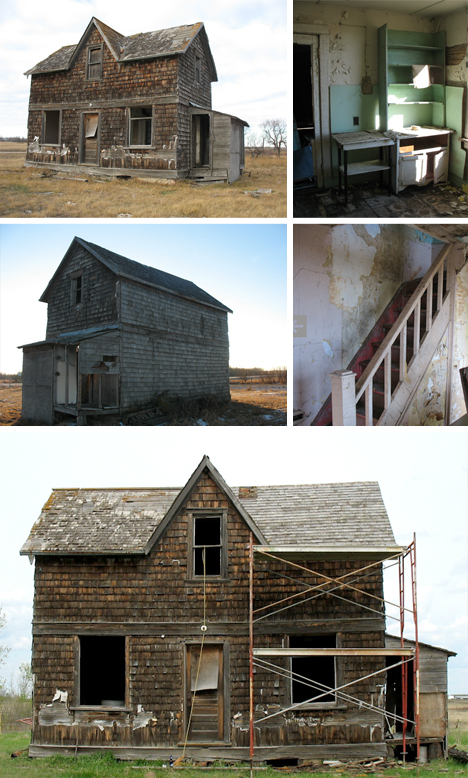 Benning, meanwhile, continues to work with site-specific landscape-and-architecture pieces.